This German 36-pages study provides an overview of the tobacco industry in Asia. Accommodating the cultural, political, economical and social differences of Asian countries, the study illustrates the socialeconomic dimensions of tobacco production. Besides describing the various tobacco products used in the Asian region the study highlights tobacco production and consumption in 9 countries. In China tobacco industry sponsored schools have names like Tobacco Hope Primary School. China is the biggest tobacco market worldwide. A paradise for international tobacco companies, one might think. Large graphic health warnings must succeed in India – in spite of the tobacco industry’s determination to stop them. Tobacco is an obstacle to sustainable development. Read here about how tobacco harms people and the environment and its impact on sustainability. 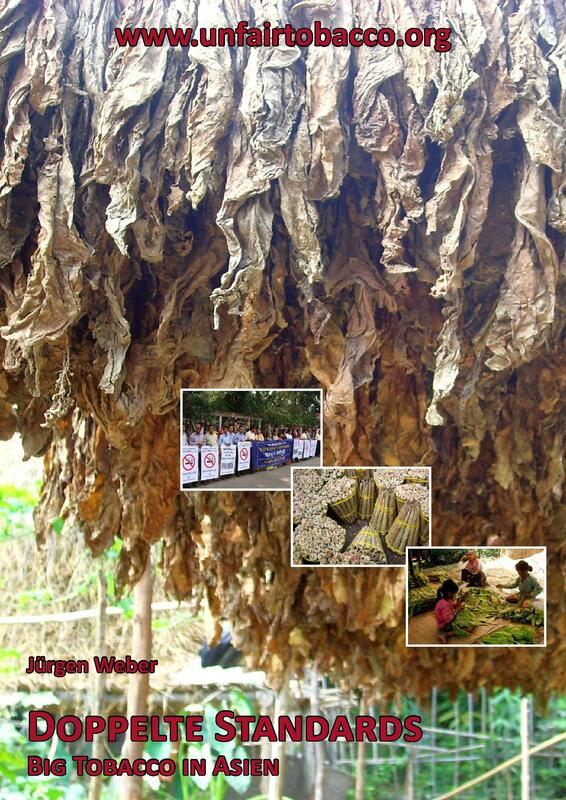 The use of child labour in tobacco growing is very dangerous and is prohibited worldwide. Read here about countries where children still work on tobacco fields. Chemicals for monocropping, firewood to cure the harvest and toxic plastic waste. Read here how tobacco harms the environment. Smoking causes lung cancer and cadriovascular diseases. Tobacco farming causes nicotine poisoning. Read how tobacco harms the health. This SDG-Factsheet shows how tobacco is linked to poverty and hunger. This study uses tobacco consumption and tobacco cultivation as an example to show the interlinkages between the Sustainable Development Goals (SDGs). This study describes the conditions, under which tobacco is grown in Africa. Examples from Zimbabwe, Malawi and Kenya show poverty, child and forced labour, but also alternative livelihoods to tobacco.